Frank Howard made John Wayne look like the runt of the litter. He stood 6-feet-7-inches, sans cleats. He weighed in at 270 pounds. Howard boasted forearms the size of biceps and biceps the size of Volkswagens. Infielders demanded hazard pay when Frank came to bat. Howard stepped into the batter’s box, and the guy sitting 20 rows back in the left-field bleachers feared for his life. Frank smashed line drives that could outrace a Ferrari. The Columbus, Ohio, native broke in with the Dodgers in 1958. Writers voted him N.L. Rookie of the Year in 1960. The Big Guy cracked 32 homers in 1962 and drove in 119. Frank smacked 24 dingers the following season and helped the Dodgers sweep the New York Yankees in the World Series. In Game 1, Howard belted a double off Whitey Ford at Yankee Stadium. The ball settled in left-center field, near the ballpark’s fabled monuments. Frank crushed a long home run off Ford in Game 4 at Dodger Stadium. It traveled, as they say, from here to Pasadena. But, Frank Howard was never a great fit in L.A. He’d trot from the dugout to his spot in rightfield and activate the earthquake sensors at Cal Tech. He threatened to send southern California into seismic shock. Not only that. Every time Frank swung his bat, he stirred up a stronger breeze than a Santa Ana wind rushing out of the desert. Dodgers skipper Walt Alston complained about Howard’s defense. Frank patrolled his outfield position like Col. Klink patrolled Stalag 13. Poorly. He used his glove mostly to protect his left hand from getting sunburned. Well, doesn’t Frank Oliver Howard make for some great hyperbole? The gentle giant of a slugger—one of the early bespectacled stars—smacked 382 career home runs, just for the record. Not surprisingly, he enjoyed some terrific power-hitting tears during his time in the major leagues. His greatest one began on May 12, 1968. That day, Howard cracked one home run off Mickey Lolich in the sixth inning and another off Fred Lasher in the seventh. The Senators won 6-3 and improved their won-loss record to 13-15. Frank now had nine homers on the season. Following a travel day, the Senators played the Boston Red Sox at Fenway Park. Not surprisingly, Frank liked the Green Monster. He probably didn’t think it looked that big. Howard hit a solo home run in the first inning, off Ray Culp, and another solo job in the sixth, against Lee Strange. The Red Sox won 5-4. Boston beat Washington again on May 15 by a score of 6-4. Howard launched a first-inning solo homer off Jose Santiago, his 12th dinger of 1968. The Senators’ road trip continued with a May 16 game against the Cleveland Indians. Washington won 4-1 with 5,447 fans watching at 78,000-seat Cleveland Stadium. Frank knocked a two-run home run off flame-throwing Sam McDowell in the third inning. He got McDowell again in the fifth with another two-run homer. Howard had now hit seven homers in four games. Washington headed back to Detroit after that one-game affair in Cleveland. Howard waited until the ninth inning to slug a two-run round-tripper off Joe Sparma on May 17. The Tigers still won 7-3. Frank enjoyed the best game of his homer-hitting binge on May 18. He hammered two off Mickey Lolich, collected three hits altogether, and drove in four runs as Washington beat Detroit 8-4. The Tigers held Howard homerless on May 19 and won the game 5-4. Frank did not homer again until May 24 against the Baltimore Orioles, a two-run dinger off Dave McNally. Fittingly, the struggling Senators still lost, 5-3, and dropped to 16-23 on the season. Frank was batting .354 following the day’s action. He had set major-record for most home runs in four games (seven), five games (eight) and six games (10). 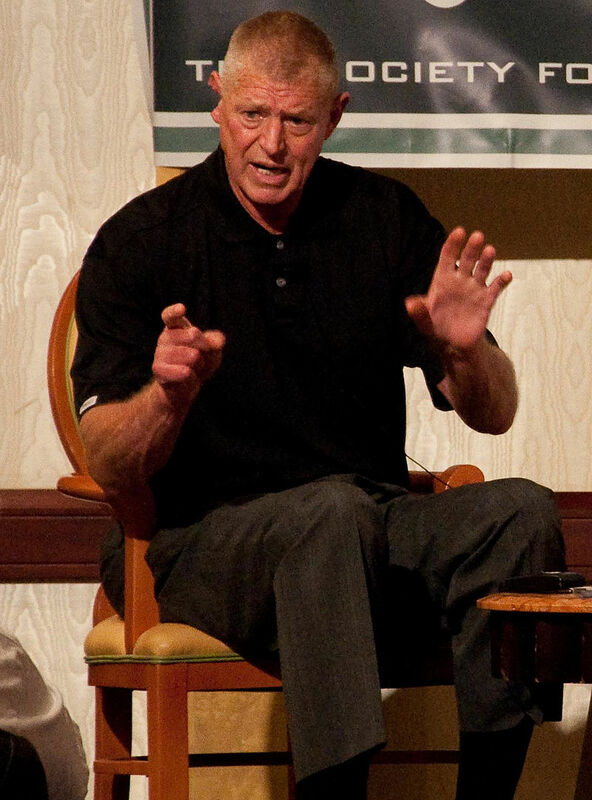 Frank Howard led the American League with 44 home run in 1968. The Senators still ended up a dismal 65-97, in 10th – last — place. Howard hit a career-high 48 homers the following year and finished second in the A.L. to the Minnesota Twins’ Harmon Killebrew, who belted 49. Big Frank smacked 44 home runs again in 1970 for the Senators and once again led the league. He finished eighth, fourth, and fifth, respectively, in the league MVP vote between 1968 and 1970. 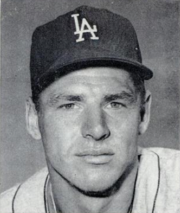 Frank Howard was the NL Rookie of the Year in 1960. “Big Frank Howard.” How many times have people said that over the years? Frank stood 6-feet-1 at age 14 and worked a jackhammer, making a buck-25 an hour in his native Columbus, Ohio. He inched up to 6-6 by time he walked onto the basketball court to play at Ohio State University. The Dodgers began scouting Howard in 1956. Good arm, below-average fielder, below-average runner, according to the report. Big-time power. Howard signed in ’58 for $108,000, or $100,000 for himself and $8,000 for his parents to put a down payment on a house. Big Frank hit .333 and belted 37 home runs for Green Bay of the Class-B, Three-I League, the league MVP. Oh, and he met his future wife at a Green Bay pizza joint. It was a good year for Big Frank Howard. The left-fielder (blond and, from 1963 until the rest of his career, bespectacled) finally made it up to the Majors for good in 1960. He hit some home runs and grumbled a lot. He often struggled to stay in the line-up. For one thing, the young slugger didn’t know the strike zone. And, Big Frank had an awfully big strike zone. He swung hard and frequently missed. Over his 448 at-bats in 1960, Howard fanned 108 times, third most in the National League. Even so, the promising young power hitter smacked 23 homers and took home Rookie of the Year honors. A thumb injury limited Frank to just 92 games in 1961. He still clubbed 15 home runs and batted a robust .296 in limited duty. His hard-swinging career was taking off. In 1962, Manager Walt Alston put Howard into 141 games. Much obliged, Big Frank responded by leading the team with 31 home runs and driving in 119 runs. He struck out 108 times, but he hit .296. Howard finished ninth in the MVP voting. Over the next two years, Howard hit a total of 52 home runs. Most memorably, he smashed a 460-foot double to deep left-center field in Game 1 of the 1963 World Series at Yankee Stadium and a 450-feet shot into the left-field upper deck of Dodger Stadium in Game 4, both hits off Whitey Ford. The Dodgers swept the Yankees and claimed their second title in Los Angeles, third overall. Even so, Frank wasn’t happy. Alston was platooning him, and Frank wanted to play every day. He knew his limitations. You can do five things on a baseball field, he said. You can run, throw, field, hit and hit for power. Frank, by his own admission, wasn’t very good at four of those five things. “But, I can hit with power,” he said in a SABR bio article. (A shoulder injury had ruined his throwing arm.) Just how many home runs could he hit if he could get into 145-150 games in a season? He found out by moving 3,000 miles away.